“I have been drawing shadows of trees in my garden since I was a teenager. I think this was perhaps the beginning of my need to make. Looking back it was about capturing the fleeting nature of trees, positive and negative spaces and forms in the landscape. It helped me understand the need to focus less on the recognition of an image and allow the energy and spontaneity of process to become celebrated. I tend to call all of my work drawings even though most of them are drawings combined with oil and mixed media paintings, mostly because the genesis of each piece begins and ends with drawing. Laurie has been a part of many solo and group exhibitions in Canada, Switzerland and England including collaborating on interdisciplinary, performance and design based projects. 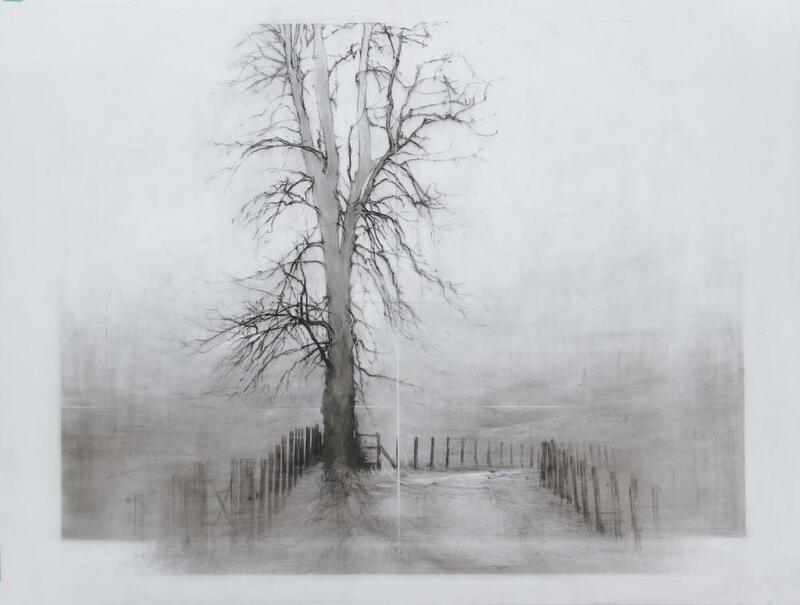 She has upcoming projects in Canada and since arriving in the Uk has shown at the RWAAutumn Exhibition every year since 2007, won the prize for Excellence in Drawing in 2010, and had 2 pieces selected for the RWA DRAWN Exhibition in 2013. She has also exhibited in many AAF’s in London, The Mall Galleries, Badcocks Gallery and CCANW to name a few. 2001 “The Poetry Of Us – finding my own figuration”. Newzones Gallery of Contemporary Art. Solo drawing & painting exhibition adjoining sculptor Evelyne Brader-Frank. “The Living Sketch – a moment within nature” 808 Studio – Alberta Hotel Building.